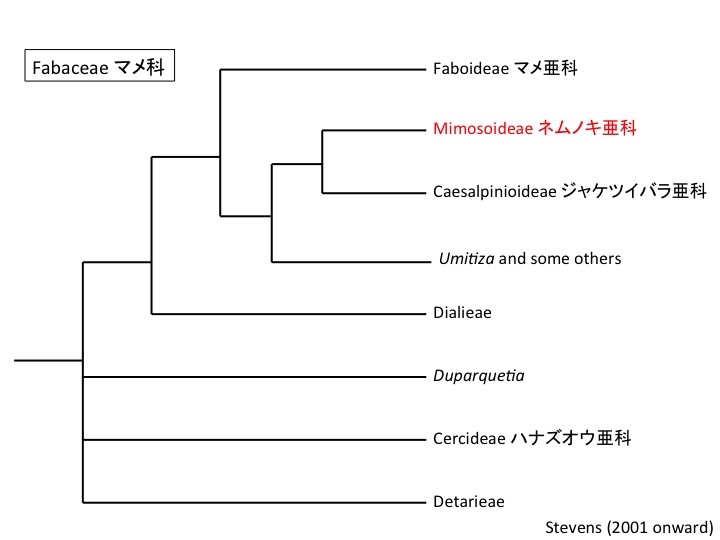 アカシア属はマメ科、ネムノキ亜科に属する。Acacia belongs to Mimosoideae, the Fabaceae. Acaciaアカシア属には扁平化した葉状器官である疑葉Phyllodeを形成する種がある。疑葉に蜜腺があるものもある。Some species of Acacia form phyllodes, flattened leaves. 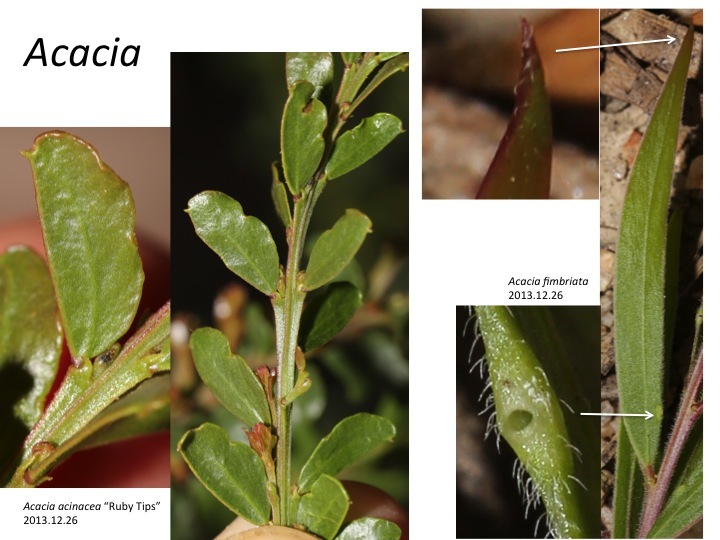 Boke (1940) compared leaf development of Acacia longifolia with phyllodes and Acacia decurrens var. dealbata with regular compound leaves. 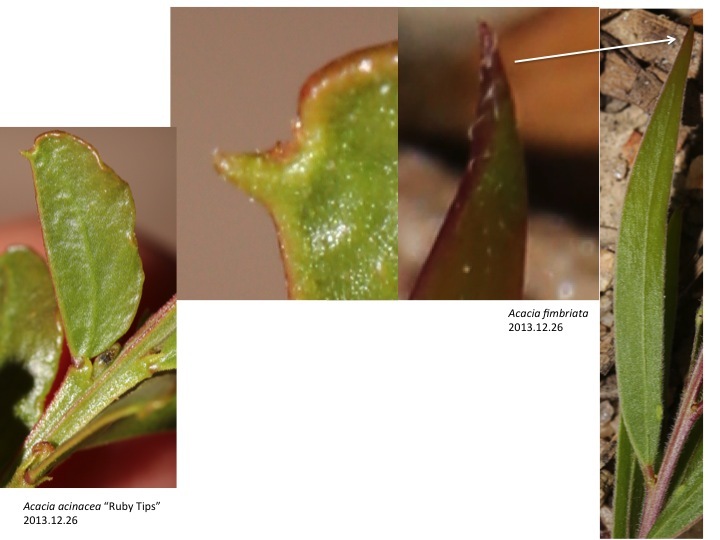 Adaxial meristem which forms the phyllode “leaf blade” is formed before the differentiation of leaf blade and petiole primordia, indicating that a phyllode is homologous to a region including both petiole and rachis. Boke, N.H. (1940) Histogenesis and morphology of the phyllode in certain species of Acacia. Amer. J. Bot.. 27: 73-79. 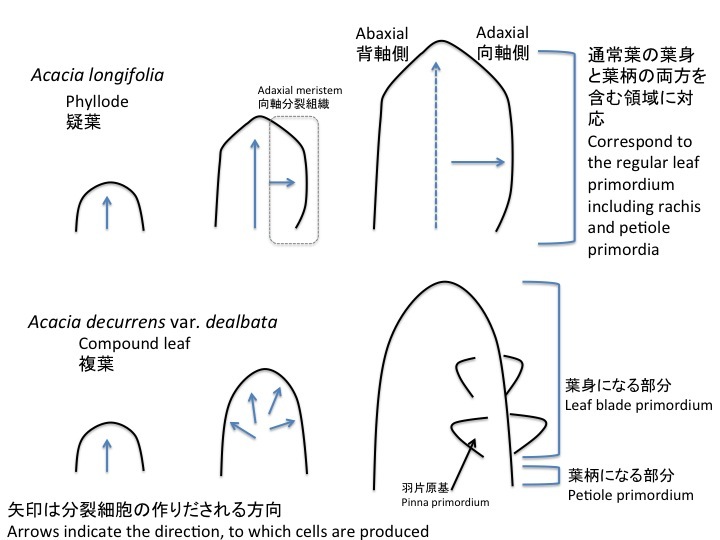 Based on the observation of Boke (1940), the appendage at the phyllode apex is interpreted as an abortive terminal leaflet.